So much education is about hands-on skills, from the skilled trades to health professions to the arts and beyond. Obviously, students learning these skills are given opportunities to learn by doing, but one key technology is now starting to be used so students learn their skills better, faster, and have more confidence. That technology isn’t fancy virtual reality or something powered by AI. It’s just video, but it’s video that’s recorded on students’ own phones. We used to think video in education was about watching how things are done. That’s 90's technology and pedagogy. Now, video for education has been flipped upside-down so its real power is students recording themselves to see how they’re doing and how they can do better. This isn’t catching on quickly, but eventually every skills learner will be self-recording for reflection and feedback. This is all part of the skills revolution in pedagogy and getting past The Content Bias in Edtech, as we wrote in a recent post. 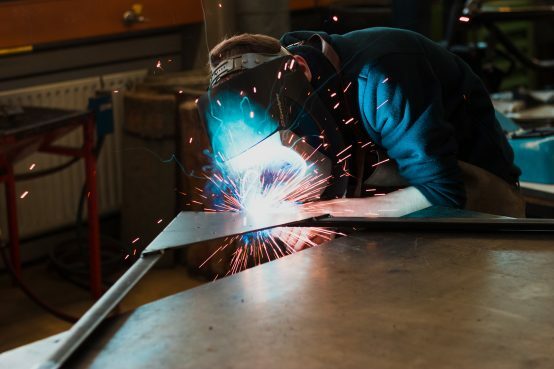 Here are seven reasons why EVERY skills program -- from nursing to welding to music to business presentations -- will be using student-recorded video in a few years. Practiced many times on the pump while self-recording on a phone, reflected on what could be done better, then got peer and instructor feedback, and then tried again and received the instructor’s stamp of approval. Evidence is now beginning to pile up in favor of students’ self-recording, watching, and reflecting, and getting feedback from their expert instructors. We see this in studies in Nursing and other health professions education (here, here, here, here, here, here, and here). The results are similar in education for skilled trades (here), in teacher education and school leadership (here, and here), and in client relations and presentations (here, here, here. and here). For one thing, we’re human and a lot of the time we don’t believe we’re doing something wrong until we see it. We heard from a young Dentistry professor, teaching Master’s-level dental students a specialty procedure, that her students regularly deny that they have made a little mistake operating on a plastic model. Then they see the video, swallow their pride (pun intended), and admit they need to practice it again to do it better. Educational research shows that being a self-regulated learner, capable of honest reflection and taking feedback to heart, makes a big difference in skills learning. When video recording is done with buy-in from learners, not only does the performance of that particular skill improve, but they also learn how to self-regulate so that all of their learning becomes more effective. Finally, there can be no doubt that practice makes perfect. But how much practice? Almost every skills educator will tell you that their students don’t practice enough. Why? Because there’s no teacher or trainer looming over them to watch them practice. But with phone video and cloud storage that just doesn’t apply any more. If you want students to practice, tell them to practice, self-record, and upload. Instructors don’t have to watch every minute; they just have to know that it’s being done. We even think this applies to youth sports – kids and parents are so competitive, why don’t they demand that the coach assigns homework?!? Despite greater effectiveness… Unfortunately in education effectiveness doesn’t always drive curriculum and technology decisions. That’s because it’s so hard to measure effectiveness. So we need to look at other reasons why all skills learning will use student-recorded video in a few years’ time. Students don’t have someone watching them practice in person enough. It simply costs too much. There isn’t time for teachers to be there. So self-recording while practicing or demonstrating skills is a huge cost-saver. Part of this is that in-person assessment and feedback takes a lot more time than the actual performance of the skill. Probably double the time. Take a nursing student doing a head-to-toe exam. Doing a role-play with another student, this takes about 10 minutes. But getting into the room, getting into position, starting and finishing takes about another 5. If the instructor has time to give feedback, it probably takes another 5, as the student takes notes. If the students self-record and upload, the instructor doesn’t have to leave the office. The 10 minute video can be watched and feedback given in about 12 minutes, maybe even in less than 10 minutes, skipping forward or playing at a faster speed, with a few feedback points given at the exact moments in the video. That’s a 40% savings in the instructor’s time. That time is a lot of money. Skills programs are eventually going to recognize this because they’ll be able to properly teach more students with the same resources and produce better learning. The economics of not using video just don’t add up any more. We know that video breaks barriers of time and space. In this case, it means that students and instructors don’t have to be in the same place at the same time. It isn’t just online programs that are wanting to make learning accessible to anyone, anywhere, anytime; even on-campus programs want to make learning more accessible for students, including those with work or family commitments, or cost barriers to travel and accomodation. Being able to do a skill, get feedback, and get assessed on it, from a distance, makes skills learning far more accessible. Even when the skills need to be learned in a specific context with equipment or materials provided by the school, students may be able to access them at times when instructors aren’t there (evenings!) and use video to get feedback. And think of skills that need to be learned on-location, in the field, like fitting valves on a pipeline. Video can make this far more accessible and cost-effective. Every educator knows that students are less passive than they used to be. They are demanding that they graduate with competence and confidence in the skills they’re learning. At the same time, employers need specific, repeatable skills less than in the past. So employers and learners want programs to produce students with a great feel for the various skills in their professional domain. That means students are demanding more practice. They’re choosing programs based in Competency-based Learning. Students and educators are also making learning more social than it ever has been. Group work, team-based learning, peer-review and peer-instruction are all finding their way into curriculum and classes. Students have more agency and more creativity in this context. Since video is now such a ubiquitous and cheap mode of documenting learning and communicating, it seems natural that students will want to have a video camera in their hands to show that they’ve learned and to make original contributions to knowledge and dialogue. Quite simply, the evolving expectations of learners over the next fifty years will mean that they will ask for ways to show what they can do and get feedback from their teachers. Gradually, the cultures of teaching and course design are meeting students new expectations. Teachers, professors, instructors, trainers now want to see their students develop skills and confidence. Look at it this way: almost no new teachers, at any level, are content to do what was done to them and just talk at students and give papers and exams. They are now noticing all the educational research that shows learning involves deliberate practice with feedback, social support, agency, and modelling or mentorship from their teachers. Here’s the seminal article on deliberate practice by Anders Ericsson and colleagues. Programs that are skills-heavy, especially the hands-on skills programs but also interpersonal skills programs, are noticing that their newer instructors are not afraid of students having a lot more control of their learning. Putting cameras in the hands of these learners makes sense to a new generation of teachers and course designers. Skill programs, especially ones that involve the operation of technology, have to deal with the cost of that equipment. Think of a program in Automated Controls Installation and Maintenance. The technology they use must change all the time. Testing students using printed or even online materials would require a massive effort to keep up, year by year. But if students are simply operating the equipment and recording themselves, the assessment can be right to the point: Can the student do the job or do they need some coaching? The key here is that a student learns to operate equipment and solve problems in a given area, so it doesn’t even matter if the equipment is a bit out of date. The student can then keep the video to show mastery of the skills to employers. Which brings us to the final reason: Badging, Blockchain, Portfolios, AI and so on. Resumes and interviews are dying out as employers look to hire hard-working, skilled, reliable people. In the software world most employers give extended problem-based tests to job-seekers. Other firms ask a candidate to come in for a day or a week and actually work. Instead of resumes and interviews, employers are looking at Badges earned on short courses; ePortfolios showing the actual work that the person has done, including reflection on it; and various forms of network recommendations like LinkedIn. What better way to prove that you can do something than by pointing an employer to video – hosted on your ePortfolio. Even better is if the course instructor or another expert has left comments and the student herself has reflected on the demonstration of competency. That shows humility, the ability to learn from coaching, and hopefully, that the learner mastered the technique. WeVu – a very flexible, low-cost video platform for student-to-teacher and teacher-to-student video with groups, assignments, and time-specific annotations. Bongo – a fully featured solution that includes structured question-and-answer assignments and grading with rubrics. Practice.xyz – a solution for more structured challenges completed by learners and with guided peer feedback and upvoting. Rehearsal – a more corporate-oriented solution where learners respond to video scenarios with their own video recorded on a webcam plus screencapture. Education doesn’t move very fast in taking advantage of technological change to reinvent programs and curriculum. So it’ll take a few more years before all skills programs let learners learn from video of the learners themselves. I guess it took a while after the availability of paper and writing instruments for educators to shift from oral exams to written output, but it happened. Students could show that they could make an argument and communicate in an extended written form. Centuries later, smartphone video cameras and the cloud do something similar, breaking barriers of time and space for skills learning.